The 54th annual Spring Tea honored the Waxahachie Federation of Women’s Clubs’ outstanding club women. The Waxahachie Federation of Women’s Clubs honored 13 outstanding club women at its 54th annual Spring Tea on April 4 at the Ellis County Woman’s Building. The event honored these extraordinary local women for their exceptional contributions to the community and achievements in their organizations. President JoAnn Ranton welcomed the members and guests present, while the honorees were recognized as they entered the hall to the music of Carol Farrar playing “The Yellow Rose of Texas” and the loud applause of their peers. Elizabeth Tull led the group in the pledges and Jane Ann Shipp led recitation of “The Collect,” which was written in 1904 by Mary Stewart. During the recognition service, each of the outstanding club women was honored with a long stem yellow rose while Pam Wilhoite shared each honoree’s accomplishments. Attendees enjoyed delicious refreshments provided by members of the following clubs: Eta Omega, Shakespeare and Beta Nu Masters. Peggy Crabtree and Linda Jeter, members of Parsons’ Rose No. 9, provided the table decorations. Peggy assembled the beautiful arrangement of spring flowers in a large vase owned by her great-grandmother. The vase was then set on Linda’s antique cloth. Delta Kappa Gamma provided service and the Happy Hearts and Heirloom clubs performed cleanup. Pat Payne was chosen by the Texas Beta Nu Master Chapter of Beta Sigma Phi as its outstanding club woman. Pat loves the spirit of sisterhood in the club, which she serves as president. She and her husband, Kenneth, are blessed with a blended family of seven children, 13 grandchildren and 23 great-grandchildren. Pat, an active member of First Methodist Church, participates in the Monday morning Bible study. Her civic activities have included Meals on Wheels for the past 12 years. Pat Smith is representing the Century Club as outstanding club woman. Pat has held the positions of treasurer, reporter and vice president for her club. She loves how well rounded and current the club meetings are by including a social aspect with live music, interesting and informative pro-grams, and a charitable component. Pat and her husband, David, have two children and three grandchildren. They attend St. Joseph Catholic Church, where she serves in the Altar Society. 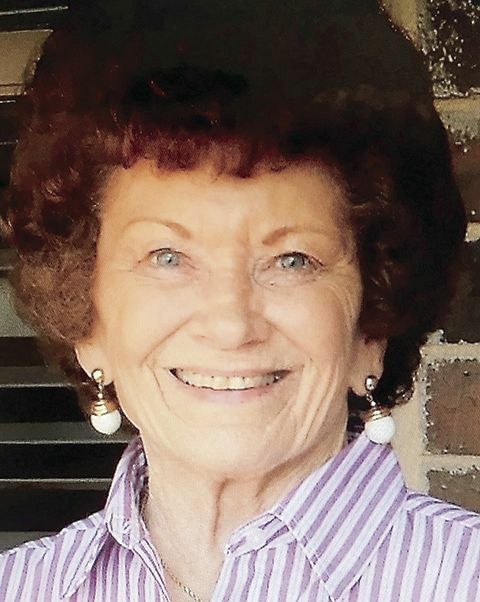 Her other civic activities include membership in the Heirloom Club, the Friday Book Club, the Chautauqua Society, Ellis County Woman’s Building board, Gardeners Limited and the Waxahachie Foundation board. The Rebecca Boyce Chapter of the Daughters of the American Revolution named its regent, Vicki Williams, as their outstanding club woman. Vicki and her husband, Clarence, have two daughters, three grandchildren, one great-grandchild and another on the way. She attends First Baptist Church in Kennedale, where she has taught Sunday school and coordinated the widowed ministry. She also has served as a volunteer educator with The Parenting Center of Tarrant County since 2007. Vicki is very proud of the many activities of her club, including the Good Citizen Patriots’ Tea, the annual blood drive, contributions to three area food banks, involvement in the Ellis County Veterans Day Ceremony and supporting two elementary schools in raising funds for Patriot Paws. Lori Redning is the outstanding club woman for the Alpha Alpha Chapter of Delta Kappa Gamma Society International. She resides in Ennis and is principal of Sam Houston Elementary School. Lori and her husband, Lonnie, have three children and four grandchildren. She attends Tabernacle Baptist Church and serves on the board of the Boys and Girls Club. Currently president of her club, she has also served as second vice president and recording secretary. She most enjoys the annual silent auction, which raises funds for the club’s scholarship. Meg Varner represents the Ellis County Genealogical Society as outstanding club woman. Meg and husband, Doyle, have two daughters and three grandchildren. The Varners attend Ferris Heights Methodist Church. Meg has served as both secretary and president of her club, where she enjoys the informative programs and going to Sims Library for help with family research. She is also a member of the United Daughters of the Confederacy and has participated in Bethlehem Revisited, Worship Outside the Walls, the Gingerbread Trail and the Waxahachie Candlelight Tour. Patty Smith is outstanding club woman of the Eta Omega Chapter of Beta Sigma Phi. Patty and her husband, Dale, have a large blended family of five children, 11 grandchildren and three great-grandchildren. A member of Beta Sigma Phi since 1980, Patty currently serves as president. Her favorite things about her club are the social outings, cultural programs and community service projects. Beta Sigma Phi hosts Carter Blood drives, visits residents of Covenant Place and sends gifts to Waxahachie Senior Center and Scottish Rite Hospital. Patty also serves on the board of the Waxahachie Senior Center and is a member of the Waxahachie Downtown Merchants Association. Patti Collier was honored by the Friday Book Club as outstanding club woman. Patti and her husband Mike reside in Itasca. She has a son, Ben, and daughter, Beth. Attending Central Presbyterian Church since age 5, Patti has served as an elder for 16 years. Active in the Waxahachie Junior Service League, she volunteers regularly at the Senior Citizen Center, story hour at the library and delivering mobile meals. Patti has served her club as vice president and president. She really enjoys the reviewers’ presentations of books on a variety of subjects from fiction to biography to history. The reviewers add their unique perspective and performance flair to the story, making them so interesting. Jean Albright was selected by the Happy Hearts Chapter of the Red Hat Society as its outstanding club woman. She and her husband, Steve, reside in Waxahachie. They attend Living Hope Church, where Jean serves as the office secretary. She especially likes her club’s happy group of ladies who value friendship. Monthly activities are inclusive and designed to be an enjoyable time together. These caring friendships extend into the daily lives of the members to be supportive in many ways. Melissa Chapman is the choice of the Heirloom Club as outstanding club woman. Melissa is president of her club. She and her husband, Ellis County Court at Law Judge Jim Chapman, attend Central Presbyterian Church and are active in the community. Melissa currently serves as president of the Waxahachie Symphony Association and is involved with the Waxahachie Downtown Merchants, Historic Waxahachie, Ellis County Museum, Ellis County Women in Business and the Waxahachie Chamber of Commerce. She is also a member of the Friday Book Club and the Daughters of the American Revolution. Melissa especially enjoys the opportunity at club meetings to take a break from life and learn about beautiful heirlooms of the past. Dr. Elizabeth Ann Herrington Matteson is representing the Parsons’ Rose No. 9 Chapter, Texas Society, Order of Confederate Rose as outstanding club woman. Liz and Gordon, her husband of 45 years, live on her ancestral family farm and attend First Baptist Church. Elizabeth especially enjoys learning more about her southern roots, fellowship with those of like interest and hosting an annual event at their family farm. She is a member of the Christian Women Club, the Friday Lunch Group and has served as president of the Nash Victory Club. Elizabeth also participates in the Gingerbread Trail and Candlelight Tour, as well as supporting the SPCA. 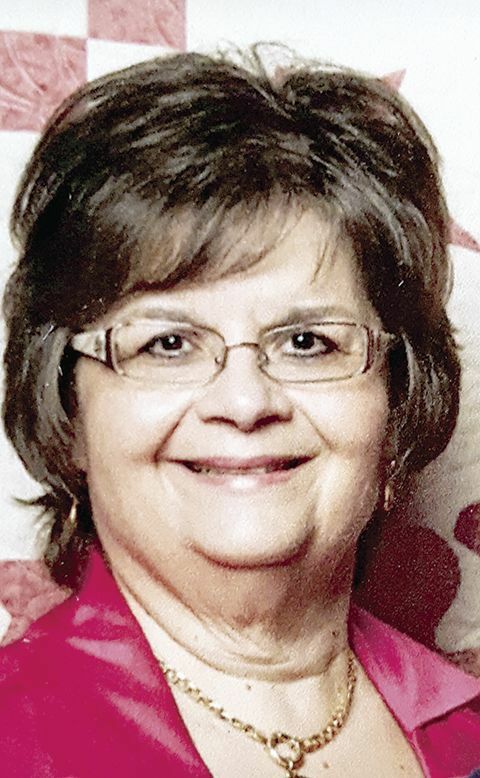 Patti Holloway was the choice of Preceptor Pi Sigma Chapter of Beta Sigma Phi as its 2019 outstanding club woman. She serves as recording secretary and corresponding secretary for her club. Patti especially enjoys the friendships developed in her club and the sharing of many cultural, artistic, travel and social activities. In addition, Patti is a member of the Daughters of the American Revolution and the Red Hats Club. Patti and her husband, Rick, have one daughter. The Holloways attend First United Methodist Church in Waxahachie. Patti volunteers for the Gingerbread and Candlelight tours, Waxahachie Art on the Square Gallery, the Wine and Art Walk and Breast Cancer Awareness for Baylor Health Care System. Tommie Worthy was honored by the Shakespeare Club as its outstanding club woman for 2019. An Avalon resident since 1947, Tommie and her late husband, Sterling, have three daughters, four grandchildren and four great-grandchildren. Tommie retired from Comerica Bank after 27 years to help her husband with their farming operations. She is also an active member of the Lions Club, the Daughters of the American Revolution and the Salvation Army advisory board. She is a member of the Ellis County Republican Women’s Club, where she is currently serving as treasurer, newsletter editor and website manager. Tommie attends First Baptist Church of Avalon.